Mike and Ranada Hassemer became acquainted with ministry in the Arctic while on an Alaskan family vacation in 1999. They participated in several mission ministry projects before, but the trip to Alaska solidified their passion for missions. Mike now serves as the Resource Development Director and manages all the aspects of donor relationships. He also presents some of the training events within ABM's equip area of ministry and serves the practical needs of pastors and missionaries through his knowledge of cabinetmaking and general construction. Mike graduated from UW Milwaukee with a degree in Medical Technology. He managed a clinical laboratory and then started a cabinetmaking business. 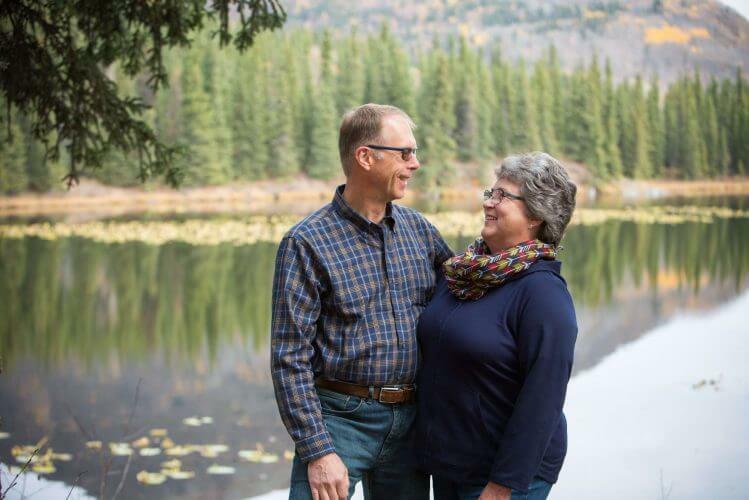 He added training in business accounting, general construction, conflict resolution, and missionary debriefing to equip him to serve ABM and the ministry families across the Arctic. Ranada graduated from Silver Lake College with a Special Education degree and taught learning disabled students for many years, with time off to raise their children. Ranada continues to teach in Alaska and uses her experience to coach ministry wives when needed. She enjoys sewing and has shared those skills with ministry ladies and their daughters. Ranada coordinates the greeting card ministry and helps Mike with shopping and meal planning for some of the work team projects. After their first trip to Alaska, the Hassemers returned many times as volunteers bringing work teams or organizing other groups from their sending church in Wisconsin. God led them to join the ABM team as full-time career staff in 2008. As they built their Alaskan home, the Hassemers included private space to offer short-term housing to ministry families coming to Soldotna for rest, training, or medical procedures. Both Mike and Ranada were born and raised in Wisconsin. Their son Aaron (Ami) and his daughters Brooklyn and Jacklyn, and their daughter Carolyn (Nathan Punt) and their children Lucas and Lauren all live in Boise, Idaho.